There's a world of information at our fingertips about our ancestors' lives. It's simply a matter of knowing where to look, and what to do with material once you uncover it. 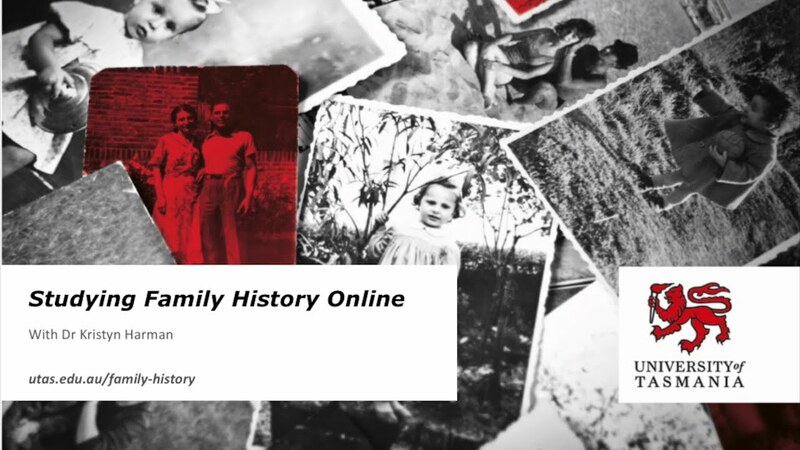 The online Diploma of Family History (R2H) course builds your skills and knowledge in finding and interpreting information about your ancestors (or even someone else's), and sharing family stories with others. It's not solely about the paper trail though. 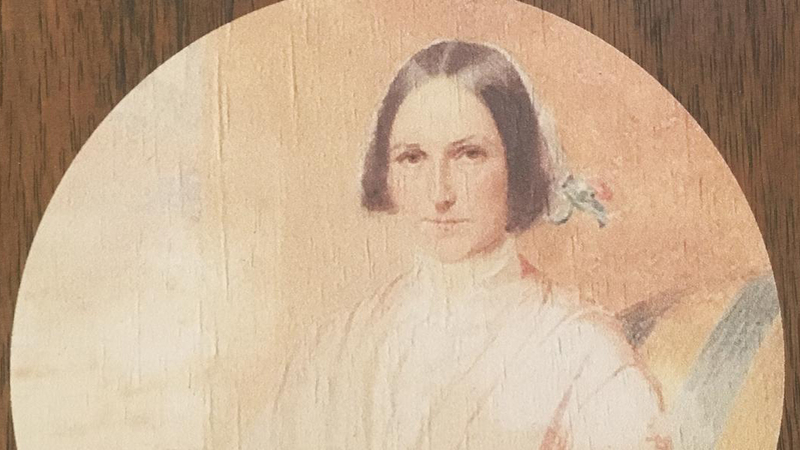 Objects, images, and places also play a part in learning about the past. You will also learn about organising, storing, and conserving knowledge for future generations. See individual unit dates below. Online: The Diploma of Family History (R2H) course is made up of eight fully online units to enable flexible study. Note: Regular access to a desktop computer is required to participate. Communication skills to share knowledge and to transfer specialised family history skills to others. New students will be enrolled in the Diploma of Family History when an application is successful in a unit below. To graduate with your Diploma of Family History (R2H), eight units need to be completed, four at foundation-level and four at 100-level (introductory). There are five foundation-level units and five 100-level units available from which to select. Only four can be counted towards towards your Diploma for each level. Convict Ancestors is a pre-requisite for Convicts in Context †. If you completed Introduction to Family History when it was unit code HSP105, you can choose to count this unit as either a foundation-level unit or 100-level unit ††. Uses the expertise in convict history at UTAS to walk students through Australia’s UNESCO-listed convict archive. Learn how to put words and images together for personal, professional, or creative expression and storytelling. Learn how to research your own family history and/or genealogy in general using online resources. Learn to interpret, contextualise, and document your own objects, images and places; and share your history. Learn about crafting and polishing engaging and readable multigenerational family history narratives. Explore how oral history can complement, supplement, and even contradict written, pictorial, and other records. Explore the broader circumstances that shaped the lives of convicts, their children, and their grandchildren. † You must successfully complete Convict Ancestors before you can be enrolled in Convicts in Context. †† If you completed Introduction to Family History when it was HSP105 you can choose to count this unit as either a foundation-level or 100-level (introductory) unit. If you choose to use it as a foundation-level unit, your options are the same as for other students. If you choose to use it as a 100-level unit, you must complete all four other foundation-level units, but need only complete three of the other 100-level units above. Please contact us by email ASC.Contact@utas.edu.au, phone +61 3 6226 6365, or the Contact Us online form if you have any further queries. Most Australian or New Zealand citizens, or holders of a permanent visa are eligible for a Commonwealth Supported Place (CSP) when studying the Diploma of Family History. In 2019, for CSPs the student contribution is $820.00 per unit. These costs can be deferred under the HECS-HELP loan scheme for eligible students. To find out more about the University’s fees including how and when to pay them, please visit Fees & Charges. More information on each unit is available at the unit links above. Completing an eCAF form is a requirement for all students. The eCAF is a government form that is available online through eStudent. Instructions for how to complete the eCAF form will be included in the content for each unit. Also see eCAF Instruction Guide (PDF 531KB). Should you have any problems submitting your eCAF, please contact us by email ASC.Contact@utas.edu.au, phone +61 3 6226 6365, or the Contact Us online form. Who can apply for the Diploma of Family History? What will I be required to do when studying this course? 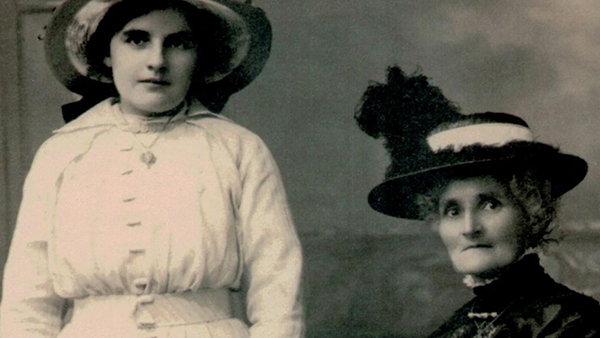 Who would benefit from studying the Diploma of Family History? I don't own a computer; can I still apply? Do I need to be available online specific times? Do I have to study the units in a particular order? What happens if I don't complete all eight units? The Diploma of Family History units are available to Australian citizens; and for NZ citizens, Permanent Residents and Humanitarian Visa Holders provided all studies are on-shore in Australia. You will need to have access to a computer and a reliable internet connection. You should expect to spend approximately 4-5 hours/week undertaking study per foundation-level unit. You should expect to spend approximately 6-8 hours/week undertaking study per second-level unit. No. The Diploma of Family History course is fully online. There will be ongoing assessments throughout each unit in this course. Assessments could include such items as online quizzes composed of multiple-choice and short answer questions (some of which may be time-limited), online discussion forums and/or presenting your genealogical work. There are no exams for any of the units in this course. I don't own a computer; can I still apply for the course? You will need to have access to a desktop computer to fully complete this course. If you don't have your own computer, perhaps someone in your family or a friend has one, you could use a computer at your local library, on campus in student areas, or at the university library. You also require a reliable internet connection. You should expect to download about 1-2 GB of data each month while studying each unit online. Generally you can complete the course work in your own time. Please note that content is usually released on a weekly or fortnightly basis. The unit coordinators may choose to present some content in the form of a live web conference. You will be made aware of this via news items during the semester. How do I find out more about Diploma of Family History units on offer? Students must complete eight units to obtain the Diploma of Family History, made up of four (4) foundation-level units and four (4) 100-level (first year) units. If you would like more information on any of these units or when they will be offered please Contact Us. Students can study the Diploma of Family History in any order they choose. Students must complete Convict Ancestors before enrolling in Convicts in Context, however other units can be studied in any order. Students can choose to study some of the units within the Diploma of Family History without studying all of them. There will be no penalties for completing a partial course, however you will only obtain the full Diploma of Family History qualification if you complete all eight units. How do I apply for admission to the Diploma of Family History? What supporting documents do I need to apply for the Diploma of Family History? How will I know if my application is successful and if I have received a place in the Diploma of Family History? What happens if I begin a unit after the official start date? The eCAF (electronic Commonwealth Assistance Form) is a government form that is available online through eStudent. Completing the form is a mandatory requirement for all Commonwealth supported students for each unit. Completing the eCAF allows you to choose to defer the partial payment for this unit onto HECS-HELP. Instructions for how to complete the eCAF form will be included in the unit content. Also see eCAF Instruction Guide (PDF 531KB). If you are a new student, once your application to a unit(s) has been assessed, and if you have been successful, you will receive a letter/email from the university with details about your new University of Tasmania student username, email address and password. You will use your username and password to access the course content (through the MyLO online learning platform), as well as eStudent to manage your enrolment details and to submit your eCAF. If you are a current or returning UTAS student, you will receive confirmation of your enrolment in the week before a unit starts. You will not receive new login details but will continue using those already assigned to you. If your password has expired you can change this through the MyPassword Service. All units in the Diploma of Family History are delivered fully online. For this reason, you can study flexibly to make up for any time that you may have missed. Please note however that there will be assessment tasks due on certain dates, so please contact ASC.Contact@utas.edu.au to discuss starting the unit late. Every unit offered by a university has a published census date. Census date is the last day a student can withdraw from a unit without receiving a financial penalty. Students may withdraw after this date from units where the full HECS scholarship is applied without receiving a financial penalty. How do I pass units without having final exams? When do I receive unit outlines? What will I be required to do when studying in each unit? I have started studying and I am struggling to keep up. Where can I get help? Can I use my Diploma of Family History unit results as credit towards a degree? What happens after I finish all eight units? If you are a new student, when you successfully apply for one of the units in the Diploma of Family History you will be enrolled in this course. You will receive your username and password in an email from Student.Centre@utas.edu.au followed by a posted letter. You may also receive additional emails or other forms of communication (e.g. SMS), as this is our protocol to ensure that you receive all necessary information. It can take up to five days from your application to receive your username and password. If you have not received your details after this time, you can contact the Student Centre for more information on 1300 361 928 or Student.Centre@utas.edu.au. From the date your unit(s) open, you will be able to log on to MyLO, our online learning platform, using your username and password. Log on to MyLO. Do not be concerned if you enrol after the start date, as the course material is designed to be studied flexibly, so you can put in a bit of extra work to catch up. MyLO is our online learning platform at the University of Tasmania. Log on to MyLO using your username and password. To help familiarise yourself with MyLO, we strongly recommend that members enrol in the online unit Getting started in MyLO after you receive your login details. This unit has plenty of instructions and orientation material to help you within the online learning environment. There will be ongoing assessments throughout the study period of each unit. Assessments could include such items as online quizzes composed of multiple-choice and short answer questions (some of which may be time-limited), online discussion forums, e-tivities and/or presenting your genealogical work. A unit outline will be available on the student unit website (MyLO) when study commences in that unit. What will I be required to do when studying in the course? You will receive details about your access to Ancestry.com on the MyLO page once you begin a unit. Students will be able to access this via the Library portal once they are enrolled and you will have access for the entirety of your studies. All units in the Diploma of Family History are delivered fully online. For this reason, you can study flexibly to make up for any time that you may have missed. Please note however that there will be assessment tasks due on certain dates, so please contact us by email ASC.Contact@utas.edu.au, phone +61 3 6226 6365, or the Contact Us online form to discuss starting a unit late. Units undertaken in the Diploma of Family History can only be included as part of the formal requirements for the Diploma of Family History. Once you have completed all eight units you will receive a Diploma of Family History. This is a certified Diploma level qualification. You will receive a certificate outlining your achievements and a full Academic Transcript. As part of Family History Month 2018 Dr Kristyn Harman, course coordinator of the Diploma, presented a talk with course graduate Caroline Haigh at Libraries Tasmania. As part of Family History month, we held a competition to hear stories about your ancestor or family tree discoveries. Many wonderful submissions were received.